Organisation : State Bank of India. 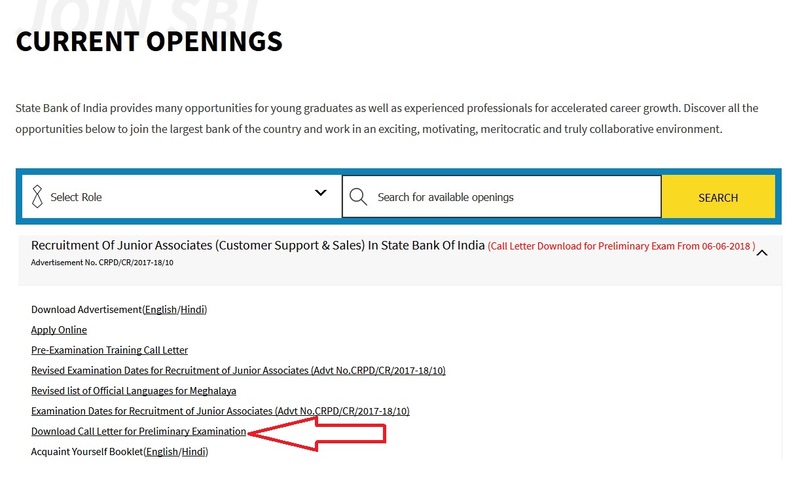 SBI Clerk 2018 Admit Card for Preliminary Examination is available on the official website of the Bank from 06 Jun 2018. This is the phase 1 of the selection process. After the phase 1 is complete the SBI 2018 Admit Card for the Main Examination will be available for the candidates who will qualify the phase 1 of the selection process. Step 2 : If you are visiting the official website, you will have to find the current openings link, like the one shown below. 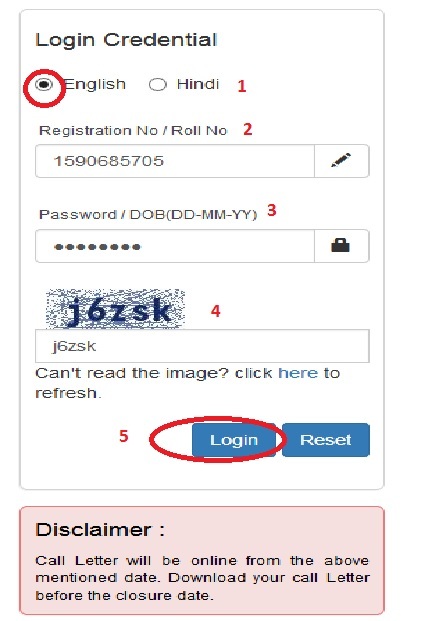 Step 4 : Download Page will be opened, click on “Login Credential ” link, enter the following details to get your Admit Card. 4. Enter Captcha code shown above. 5. Click on Login button.